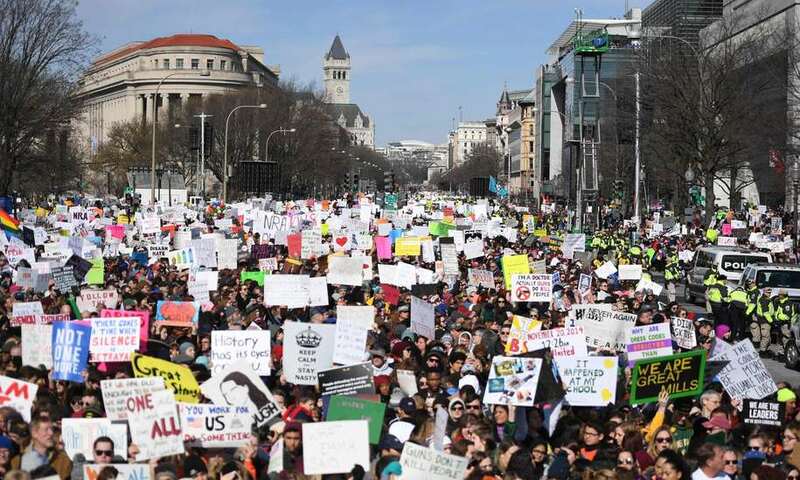 Washington, DC | www.adc.org | March 26, 2018 | On Saturday, March 24, ADC members joined the hundreds of thousands of demonstrators who marched against gun violence at March for Our Lives rallies across the country. ADC strongly supports the inspiring student-led movement and will continue to support all those who use their First Amendment rights to mobilize their fellow citizens to achieve urgently needed change. ADC supports the March for Our Lives movement and common sense gun safety reform. ADC believes that widely-supported measures, such as background checks and bans on assault weapons, will help to reduce gun violence and save countless of innocent lives in our schools, churches, cinemas, and every place where mass shootings have become a frightening reality. Gun violence disproportionally targets people of color even though voices from these communities are often absent from the national discussion on gun safety. Arab-Americans (or those perceived to be Arab) are often the victims of racially-motived gun violence attacks. As the nation’s largest grassroots Arab-American civil rights organization, we urge our members to speak out and be the voice of the often forgotten victims of gun violence and demand gun safety reform now! Our community, along with other minority communities affected by gun violence, needs to stand together to support policies that will make us safer and stronger as a nation. If you are not yet a member, we encourage you to join your fellow Arab-Americans and become an ADC Member today! Together our voices are louder and we are stronger in the struggle to end gun violence and the permissive gun policies that have had disastrous effects on children and communities of color. ADC will continue to stand up for individuals targeted by gun violence. And we ask you to stand with us!